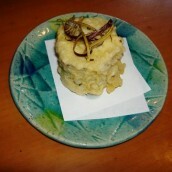 A mountain presses the back for Kumano-nada coast, and there is little land which suits rice making, but the sweet potato is easy to make with Hirami of a red earth (plateau), and something with the strong sweetness is harvested. 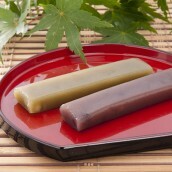 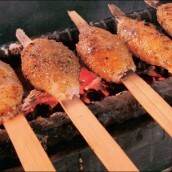 The daily meal which is Higashi-muro seaside formerly, sweet potato and wheat are the center. 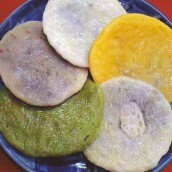 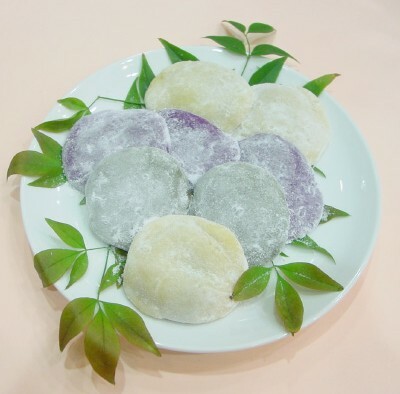 By potato rice cake and undertaking, rice with other potatoes, boiling drying potatoes and rice cake from HO SHIGO, etc..
Glutinous rice is washed and it's put in a night water. 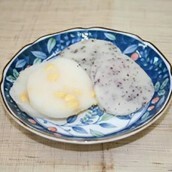 Sweet potato peels skin, cuts it into the suitable size and removes the bitterness. 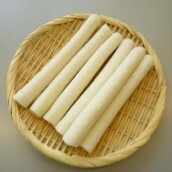 I cut the stem of(1) in water, steam with(2) and pound rice cake by the point which sticks. 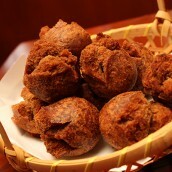 I expand soybean flour into the feed limit, round(3) in the suitable size and cover with soybean flour. 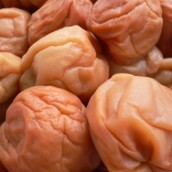 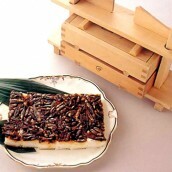 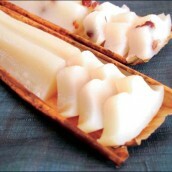 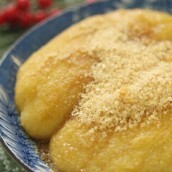 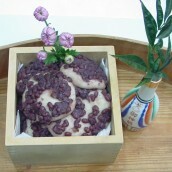 ※ When rounding rice cake, bean jam of adzuki beans may be put in.